I love finding ways to reuse old items in my house. It’s great knowing I can give new use to old things. One thing I always need more of is organization. My bathroom especially needs some TLC. It’s hard to find simple and stylish organizers. If you’ve got some old plastic spray bottles laying around I have some news for you. You can turn those old spray bottles into these great DIY Bottle Organizers. They’re perfect for the bathroom. You can organize everything from hairbows to q-tips. Not only are they functional but also colorful! 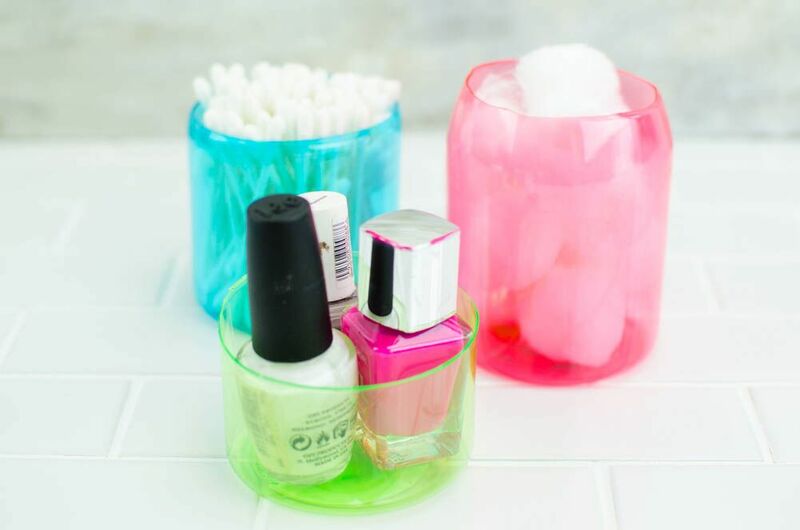 They’re great to have and to add a pop of color to a boring bathroom. I hope you enjoy learning how to make your own. Place your rubber band evenly around the bottle. Trace above or below the rubber band where you want to cut the bottle. Then remove the rubber band. Carefully cut along your traced line with a craft knife. This doesn’t have to be perfect. The Iron will fix any imperfections. Repeat that process on the rest of the bottles. Once they’re all cut preheat your iron on the hottest setting. Now carefully place the cut bottles one by one onto the hot iron for a few seconds at a time. The iron will melt any imperfections and give the bottle a smooth top. This project was so fun to make. Who knew you could get cute little organizers from old spray bottles? I hope you loved this project as much as I did. 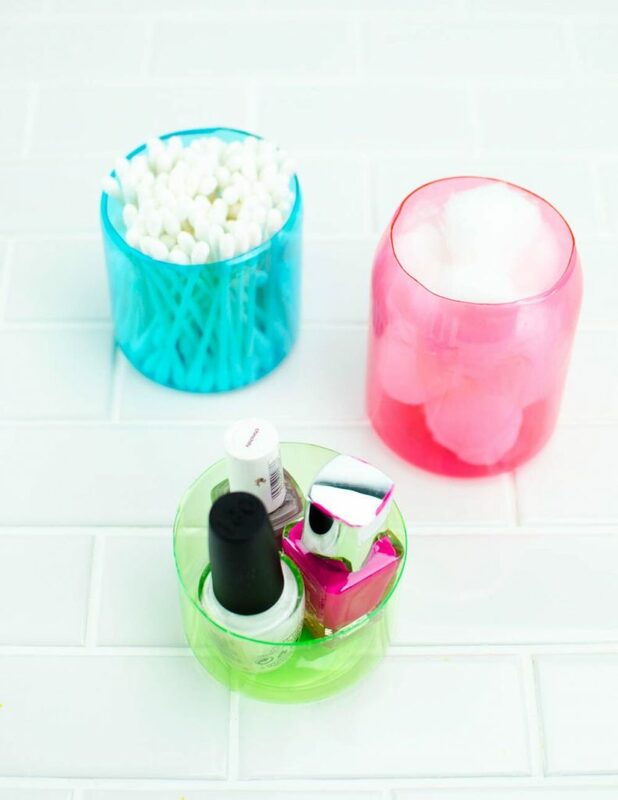 It’s a great teen craft, DIY bathroom organization craft, and recycle craft.